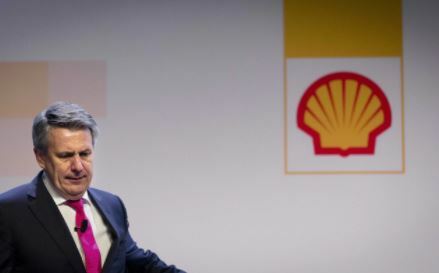 Ben van Beurden, the Royal Dutch Shell boss, last week delivered the clearest indication yet that the burgeoning electric vehicle industry is already hastening the decline of global oil demand. It was not so much a foil to the group trebling second quarter profits as a statement of intent: for “Big Oil” it is time to adapt or die, and Shell intends to adapt. The Anglo-Dutch giant is already shifting its focus from drilling for oil to natural gas, but within the next year Shell will unveil early plans for a deeper presence in renewable energy and the electrical chain to tap the boom in electric vehicles. Professor Dieter Helm told The Telegraph in April. The number of new registrations of plug-in cars has grown from 3,500 in 2013 to more than 100,000 at the end of May. Londoners are much more enthusiastic about moving to electric cars than the rest of Britain, according to new research from Baringa Partners. The majority of those in the capital (77 per cent) believe that pure electric cars will replace their petrol/diesel counterparts as the preferred type of car in the UK, while nationwide 68 per cent of people feel the same. There is still work to be done to convince drivers of electric vehicles’ mainstream capabilities though, as while considerably more London residents were likely to consider an electric car next time they get a car, that was still just over a third at 36 per cent. 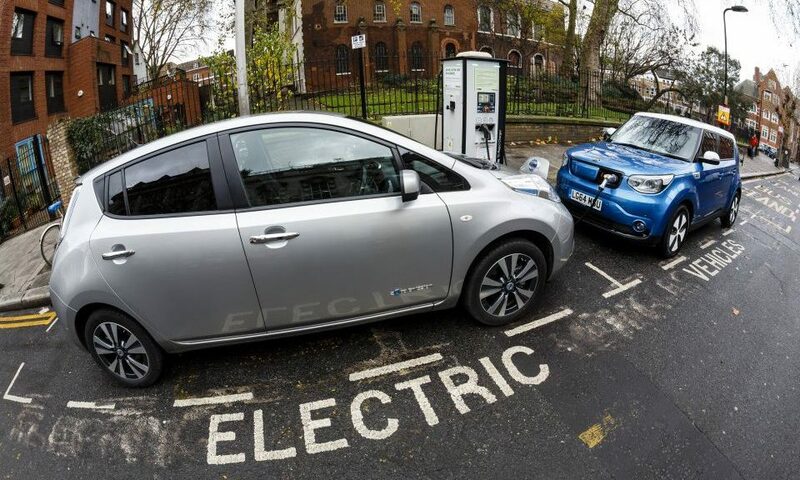 The national average was 18 per cent, while the lowest interest was in the East of England where 10 per cent of people said they would consider an electric car as their next vehicle. 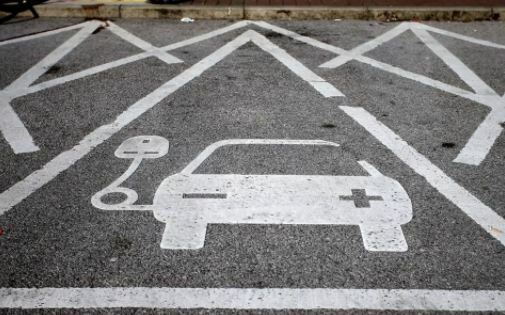 As for what the concerns were regarding electric cars, 37 per cent of Londoners pointed to difficulties installing a home charger while 62 per cent expressed range anxiety, worrying they would not be able to travel far enough on a single charge. Baringa surveyed a nationally representative sample of 2,005 UK adults. Oliver Rix, partner at Baringa, said this was good news for “the critical problem” of air qualities in cities. 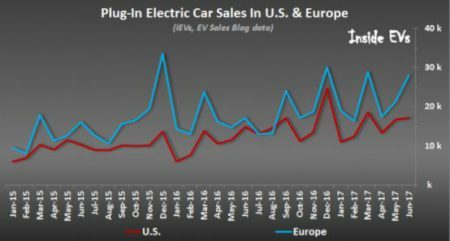 It’s getting better and better in Europe for plug-in vehicles, as some 54% growth was noted in June, with total sales for the month reaching more than 28,000. 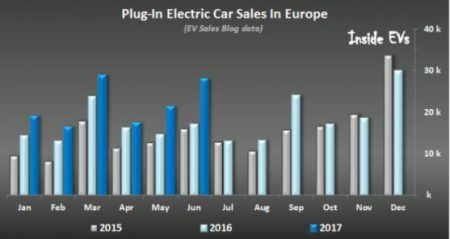 The half year numbers have also crested 133,000 (which is up 30% year-over-year), and encourages us that the 250,000 mark will be easy to achieve in 2017 given the traditional year-end weighting of EV sales. Overall plug-in market share stands at 1.5%. 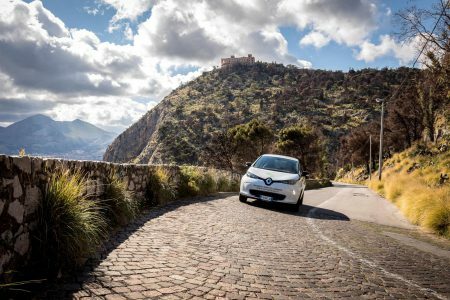 Specific to the EVs themselves, the Renault ZOE shines in June, exceeding 4,000 sales – more than double the second best result from the BMW i3! 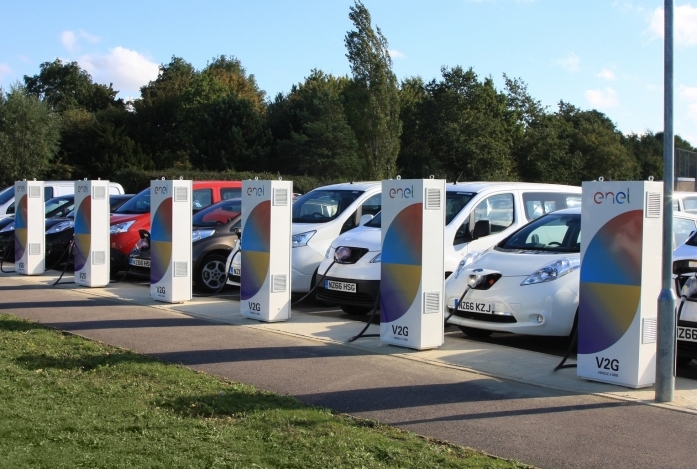 Intelligent use of vehicle to grid (V2G) technology can improve the battery life of electric vehicles according to a new study from the University of Warwick, potentially disproving a key criticism levelled at the technology. Working with the Energy and Electrical Systems group of the university’s research division WMG and Jaguar Land Rover, Dr Kotub Uddin analysed advanced lithium ion batteries used in commercially available EVs over a two year period. This allowed him to create what is thought to be one of the most accurate battery degradation models existing in the public domain to predict battery capacity and power fade over time, under various ageing acceleration factors including temperature, state of charge, current and depth of discharge. Using this model, Dr Uddin developed a ‘smart grid’ algorithm to calculate how much energy a vehicle requires to carry out daily journeys, and how much energy can be taken from its battery without negatively affecting it, or even improving its longevity. 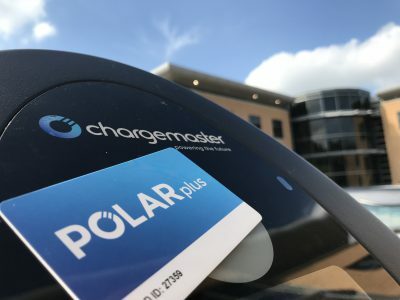 This algorithm was then applied to WMG’s International Digital Laboratory to see if energy from EVs parked on the University of Warwick campus could power the multi-use building. 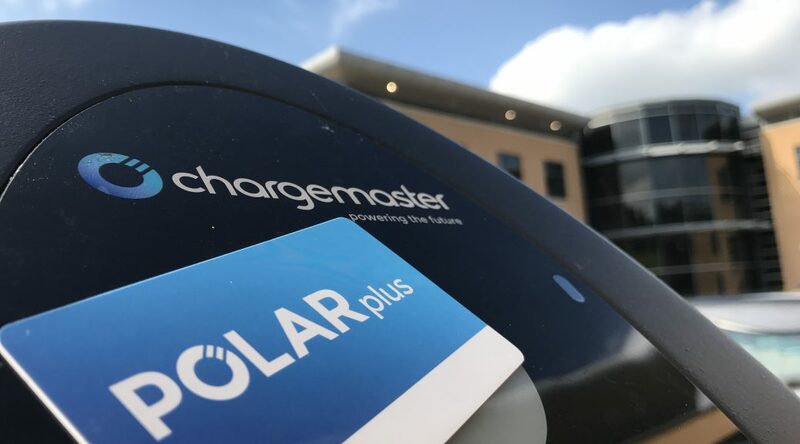 The study concluded that the number of EVs parked on the campus (around 2.1% of cars, in line with the UK market share of EVs) could spare the energy to power this building. In doing so, capacity fade in participant EV batteries would be reduced by up to 9.1%, and power fade by up to 12.1% over a year.